When you are looking for the absolute best in high quality kitchen and bath remodeling services for your Westchester home, the only name in quality that you need to know is S&S Remodeling. Here at S&S Remodeling, our slogan is "quality at a fair price," and for over thirty years, we have been delivering on that promise. 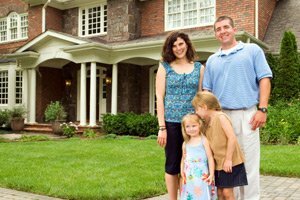 Since we first opened our doors to the public back in 1983, our team of Westchester remodeling professionals have been providing local homeowners with the high quality remodeling, handyman, and home repair services they need to keep their homes looking and performing their best at all times, and all at a price that won't break the bank. We take our line of work very seriously here at S&S Remodeling and will provide craftsmanship you will be proud to show off! As any homeowner knows, there are going to be issues that spring up from time to time or little projects that you want to get completed around the house, and in those moments, having the name of a professional handyman service who can ensure that you get the service and repairs you need, right when you need them can be worth its weight in gold. Here at S&S Remodeling, we offer a full line of high quality handyman and home repair services to help you keep your home in good order and looking the way you want it to look. Whether you are looking for professional carpentry services to help you tear out a wall to help you get more room, new natural wood flooring, new crown molding, or you are looking to enhance your newly remodeled kitchen or bathroom with fresh tile, our team of professionals can help you get the job done and get exactly the kind of results you are looking for. Here at S&S Remodeling, we are a full service, owner operated remodeling company that specializes in high quality kitchen and bath remodeling. Thanks in large part to our quality craftsmanship and our dedication to superior results, we have turned many first time customers into repeat customers over our years of service, and we hope to do the same with many more. Whether you are looking for help with your next major remodeling project, or you just find yourself in need of some simple repairs, our team of professionals would be more than happy to go over your project with you to help you find the options that are going to be right for you and your home. At S&S Remodeling, it is our policy to handle one job at a time to ensure that each and every customer gets our full, undivided attention. While this might not be the fastest approach, it helps to ensure that the quality of your work will always be top tier.